Sprawling wonderfully in the lap of the rich Western Ghats, Idukki is a wonderful district in Kerala and is a popular tourist attraction. On account of the presence of trekking trails, camping sites, waterfalls, lakes and forests, it is a weekend getaway for thousands of tourists and travellers. How about getting yourself to Idukki this weekend and taking the road less travelled? Yes, there are hundreds of places in Idukki which are only known amongst locals and offbeat travellers. Therefore, it could be said that they are emerging tourist attractions in Kerala. One such place is the beautiful Anjuruli. If you would love to witness the majesty of this less explored stoppage, then read on to know in detail about its location and surroundings and how to reach it. The summers are moderate and bearable in and around Anjuruli; therefore, it can be visited throughout the year. However, if you still desire to avoid the summers in Anjuruli, then the best time to visit it is from September until the end of March. This is the period when you can witness the natural beauty of Anjuruli at its summit. Also spelt as Anchuruli, Anjuruli is a beautiful tourist spot in a small village named Kanchiyar, which is located at a distance of about 45 km from Idukki. The nearest town from the spot is Kattappana at a distance of around 9 km. 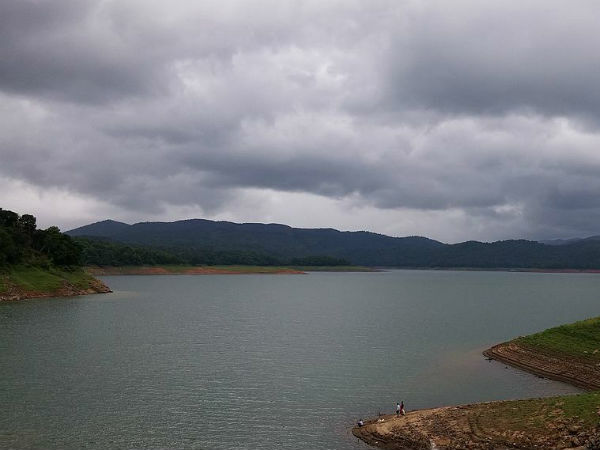 Anjuruli is generally famous for its 4-km long tunnel that connects Idukki reservoir to Erattayar Dam. This marvellous tunnel is the prime attraction of the village. Hundreds of tourists and locals come here every month to capture the beauty of this tunnel. Anjuruli is also noted for its scenic beauty which is present in the form of a peaceful and serene environment, lush green surroundings and towering hills. Therefore, over a period of time, it has become a weekend getaway for several picnickers and nature photographers. Being an emerging tourist attraction, Anjuruli will soon be witnessing thousands of tourists every year. Therefore, before it becomes a mainstream tourist spot, explore its nascent and unexplored beauty. On one hand, you can explore and photograph the beauty of its tunnel and on the other hand, you can laze by Idukki Reservoir and gaze at the towering hills. So, don't you think Anjuruli would make for a memorable getaway? By Air: The nearest airport from Anjuruli is located in Kochi at a distance of about 120 km. Once you have reached Kochi, you can either hire a direct cab to Anjuruli or catch a bus to Kattappana and then from there, a cab or any public transport to Anjuruli. By Rail: You can take a direct train to Kottayam, which has the nearest major railway station to Anjuruli, and then from there, you can either take a cab or use public transport to reach Anjuruli. The distance between Kottayam and Anjuruli is 110 km. By Road: Being a tourist spot, Anjuruli is well connected to all other towns and cities by road.